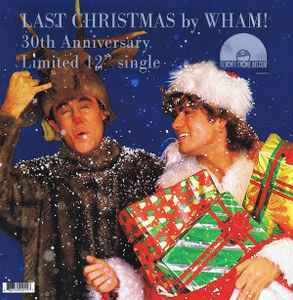 This is the first physical single commercially released in the United States and marks the 30th anniversary of "Last Christmas". A Record Store Day exclusive release. Track B: previously unreleased instrumental version. Limited to 3,000 copies. Issued in clear plastic sleeve with flap on top, rectangular sticker on top. plays nice and looks great except on the A side. I don't know if there is some grime struck in the grooves or whoever mixed the music didn't realize there was a skip or scratch sound. plays strange, sounds too - anyone else have same feelings?